Find tourist attractions and things to do near Keeneland Race Course Thoroughbred Racing View Map. St. Frances de Sales Mission is the oldest church in the Diocese of the Covington. It was originally built in 1794 and was rebuilt in 1820. The historic cemetery is located across the street for the church. The Buffalo Gals Barn Quilt Trail in Scott County, takes you on a scenic drive while viewing the quilt squares, a cornucopia of traditional and contemporary patterns that adorn barns, yards, fences, and fences across the county. The Buffalo Gals Barn Quilt Trail in Scott County, Kentucky takes you along country roads, past historic farms with barns old and new, and alongside fields where cows and horses graze, corn ripples, and wildflowers bloom. Legendary Bourbon known all over the world. Sit back and enjoy as we introduce you to Kentucky craftsmanship at its best. 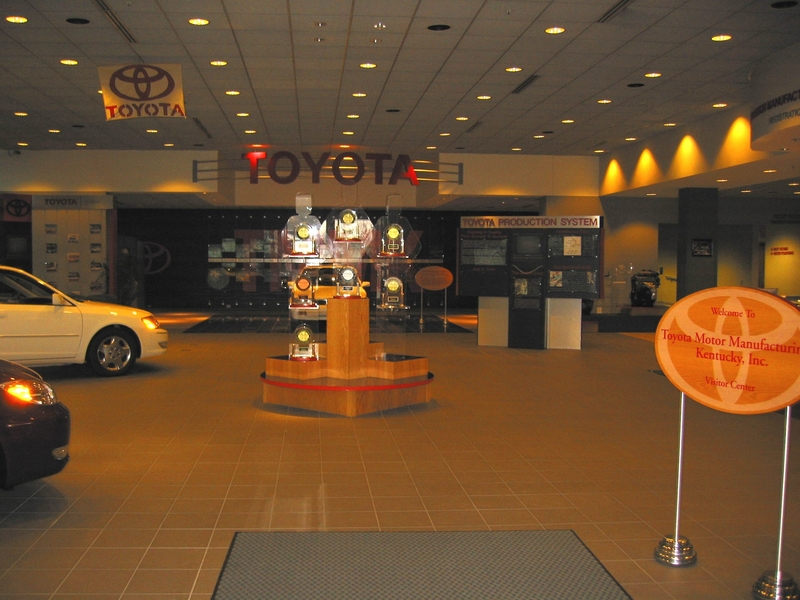 Toyota Motor Manufacturing, Kentucky, Inc. in Georgetown, Kentucky, was Toyota’s first wholly owned manufacturing facility in the United States. Toyota Motor Manufacturing, Kentucky presents one of the top 10 industrial tours in America. Toyota’s largest vehicle manufacturing plant in North America, Toyota Motor Manufacturing, Kentucky, Inc. (Toyota Kentucky) produced the first American-made Camry in 1988. Our friendly staff of tour guides will lead you through portions of our 7.5 million square foot facility via an electric tram. The tour begins in Stamping where you will see cars take shape from huge coils of rolled up steel. It's the race with a view! Walk or run our 16th annual 5K Race that winds through the scenic grounds of the historic Distillery. Cash prizes for top 3 men and women. Race begins at 8:00 a.m. $20 prior to June 25. $25 day of race. Limited to first 1,000 registrants. Register online starting Apr. Two Night Dinner and Drama It’s a night of dinner, drams and drama! Start your spook-takular evening off with our popular Ghost Tour, followed by dinner and spirits pairing in the Elmer T. Lee Clubhouse. Drive through Buffalo Trace Distillery and see the lights! See a kaleidoscope of sparkling lights and displays that captivate your imagination on a drive through Buffalo Trace Distillery.